In the emerging Age of Insight, or what Mike McNamara, CEO of Flex recently termed the Age of Intelligence, machine learning and artificial intelligence are becoming central to effective business strategy and decision making, product design and development, and all aspects of service delivery. 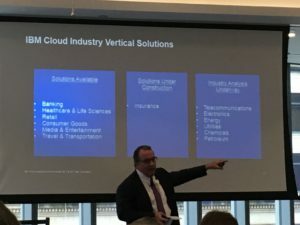 Unlocking the critical corporate data that support these initiatives and systems were key themes presented at the IBM Cloud Summit that I attended in New York City earlier this week (along with 60-70 other industry analysts / influencers). No doubt, IBM is in a truly unique position with clients, given its heritage of providing world-class infrastructures to the F1000 for the past 40+ years. These systems hold vast vaults of transactional and operational data that IBM wants to help clients make available in the cloud, and to its’ growing arsenal of highly differentiated Watson-based offerings. Throughout the one-day Summit, IBM demonstrated its commitment to help its clients adopt and deploy hybrid cloud strategies and environments – as they transition their huge portfolios of on-premise apps to the cloud. Byrson Koehler, CTO and General Manager, IBM Watson and Cloud Platform, kicked the session off by emphasizing that IBM is building a “rich collection of capabilities to deliver an end-to-end hyperscale cloud platform” . . . In fact, IBM Cloud now includes 450 services, 127 of which are customer-facing, with IBM committed to supporting the full range of deployment options, whether it be Public, Private or dedicated on-prem. A big part of the day focused on IBM Cloud Private, IBMs newest hybrid cloud offering that leverages common platform-as-a-service tools and developer runtimes, as well as popular and developer-friendly technologies such as Kubernetes, Docker and CloudFoundry. IBM’s strategy is to develop and deliver (via containers) a common fabric across all three environments. IBM also announced new data cataloging and data refining offerings for the Watson Data Platform that helps developers and data scientists analyze and prepare data for AI apps. I especially valued the late-morning presentation by Don Rippert, CTO, IBM Industry Platform, that demonstrated how committed IBM is in building next-gen AI-based SaaS vertical solutions. As they develop their industry roadmap, beyond Banking, Healthcare and Retail (among others), IBM is clearly focused on business processes where it can help take cost out of the equation, and that can exploit the deep (and sticky) machine learning capabilities of Watson. 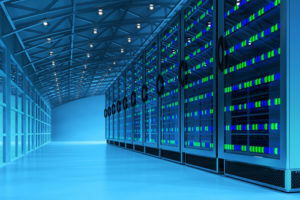 All in all, IBM’s presentations demonstrated to me that IBM is coming into a sweet spot as it helps clients exploit the massive vaults of locked-up data and systems ripe to get redeployed to next-gen cloud(s). The biggest question is whether IBM will likewise win the hearts and minds of developers building cloud native solutions, in the increasingly multi-cloud world (e.g., Amazon, Microsoft and Google) that is emerging.